If you’re taking a year out from your training, you won’t find a better location to experience the laidback kiwi lifestyle whilst having a truly unique learning experience. 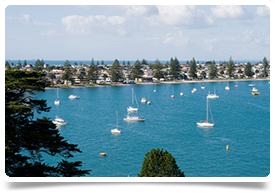 We’re seeking Surgical Registrars to be based on the northern coast of New Zealand's North Island. The location is perfect for those who love a warm climate where you can enjoy endless stretches of beautiful beaches and stunning scenery. To be considered for these roles, you will need to hold general registration or be eligible for provisional general registration with the Medical Council of New Zealand. There are different pathways for NZ and we can advise you if you’re unsure. You must be working at PGY4 level or above and have previous experience working within a surgical role. PGY3 candidates may be considered for Senior House Officer positions. For more details, please contact Leona Young at leona@headmedical.com with a copy of your CV, or feel free to call Leona on 0131 240 5265 for a confidential discussion about these roles.